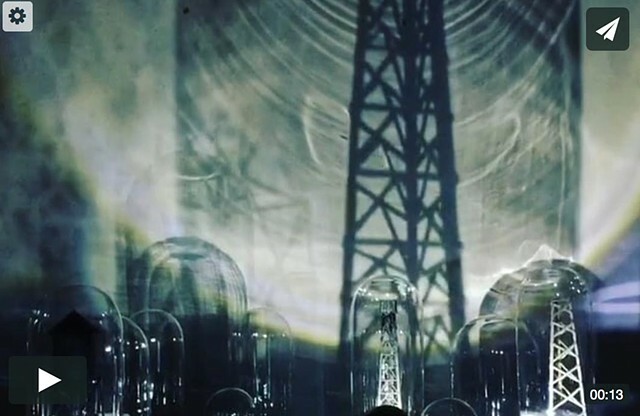 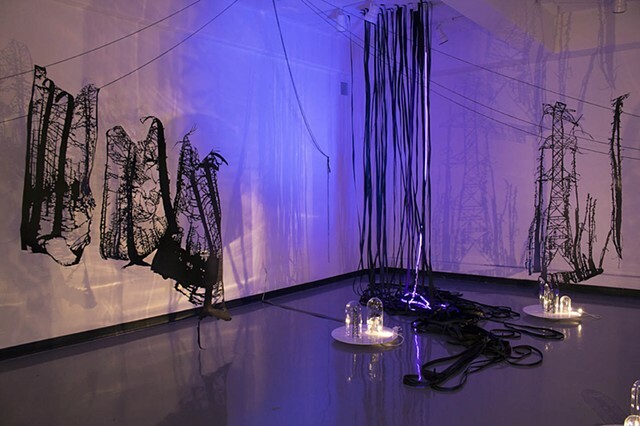 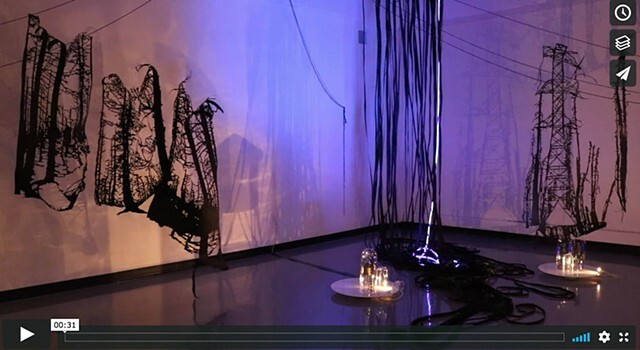 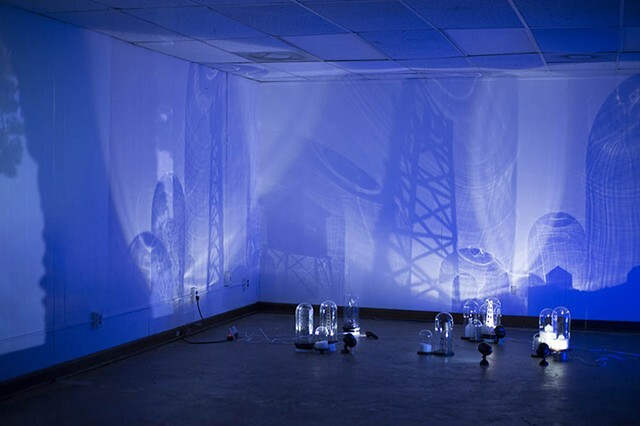 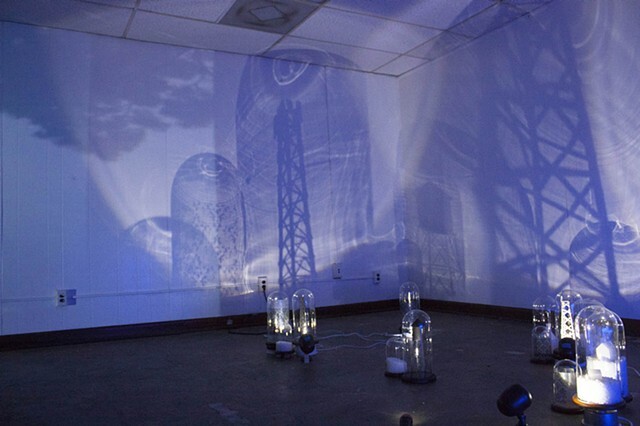 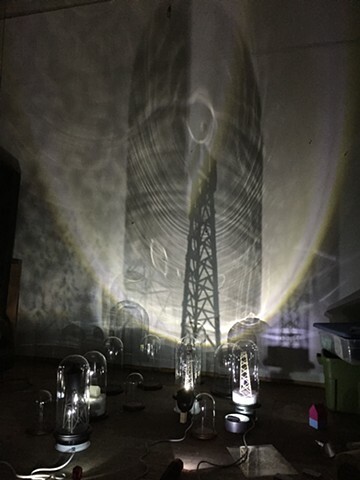 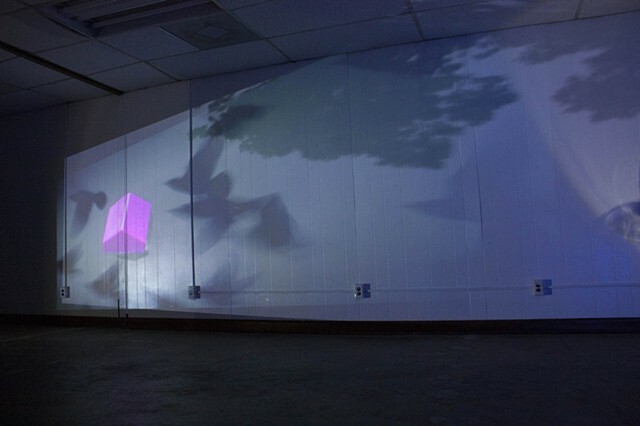 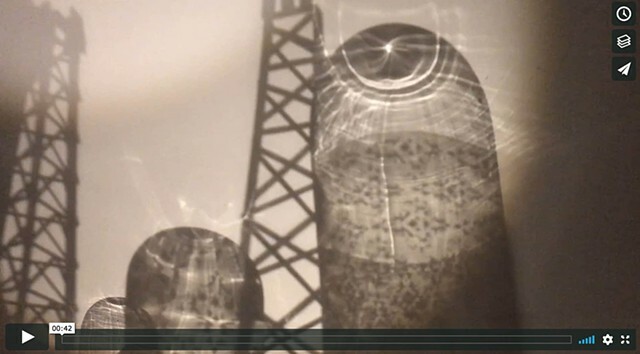 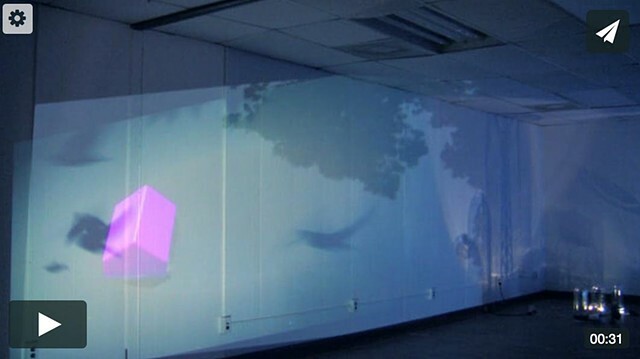 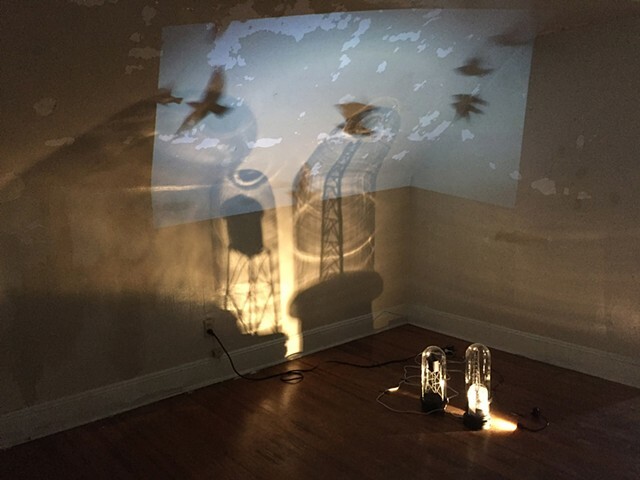 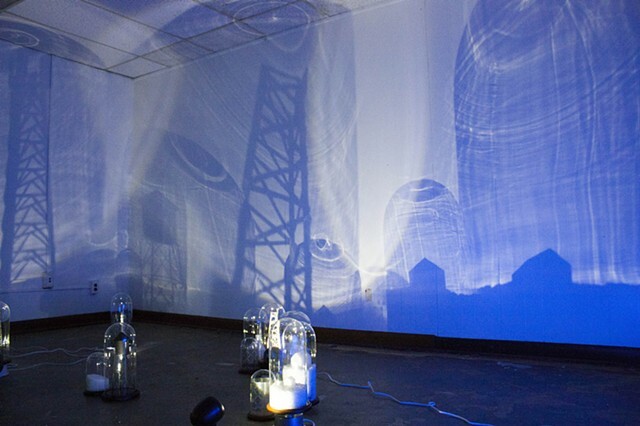 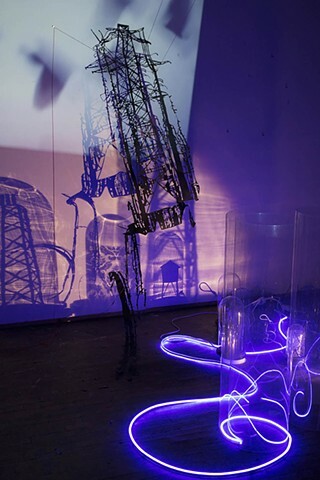 The connected projects Geist, Lighthouse and Transmissions began in 2015 in the studio and were refined during a summer residency in 2016 at the Virginia Center for Creative Arts. 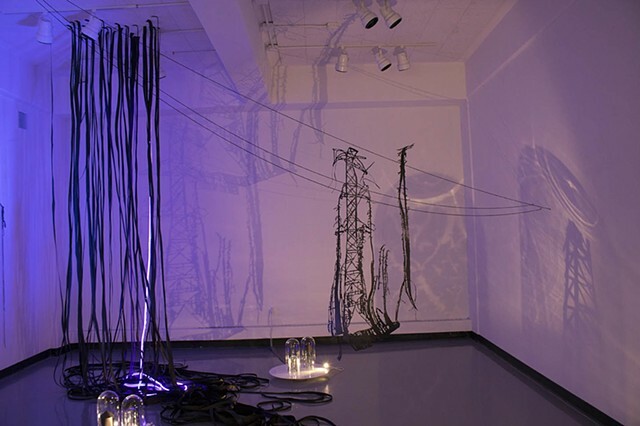 These works are the intersection of my drawing and installation practice- a form of expanded drawing. 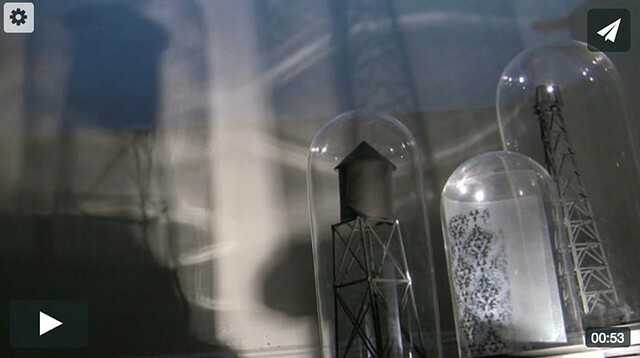 I started with 3D printed house forms resting on piles of rock salt within bell jars, rotating slowly on turntables. 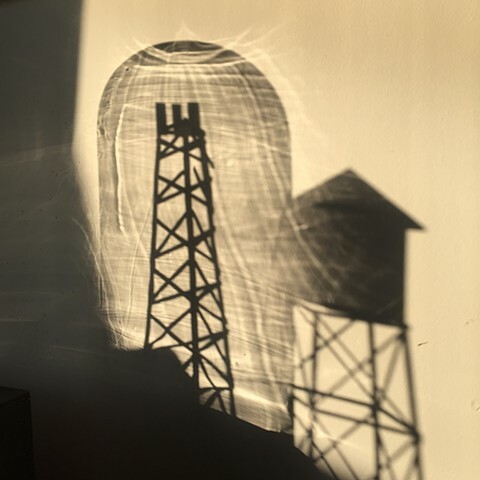 More recently, I constructed models of paper and wood reminiscent of the light industrial architecture I see out of my studio window- cell phone towers, electric lines, radio towers. 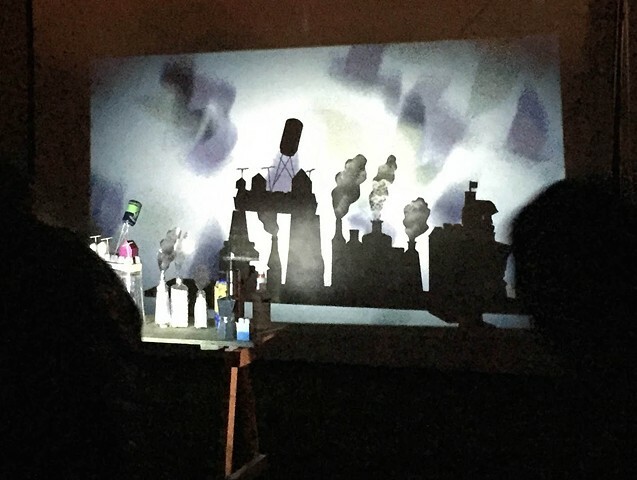 My partially blighted/light industrial neighborhood was the visual inspiration for this piece, but like all my works, there is the element of illusion, stagecraft and fantasy as well. 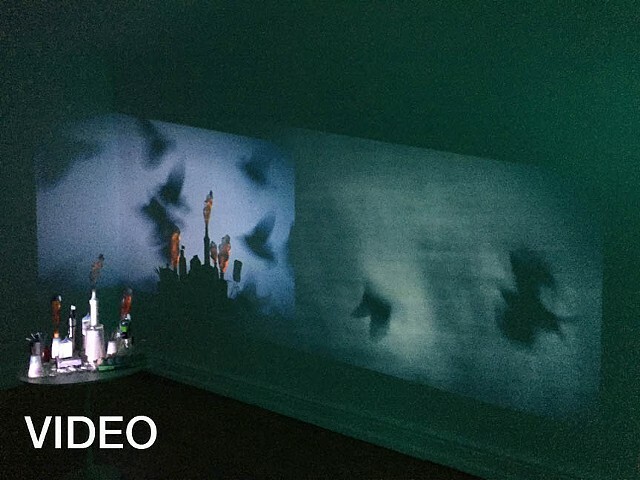 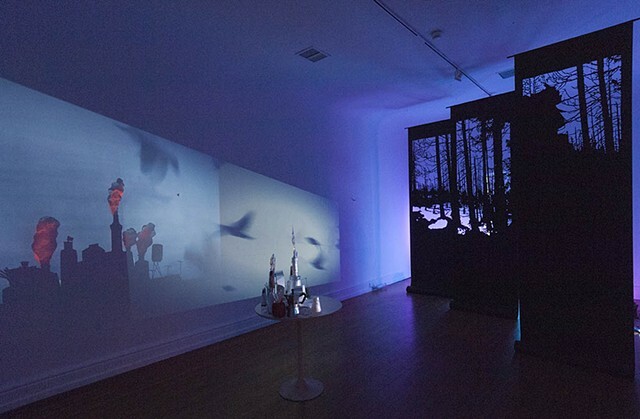 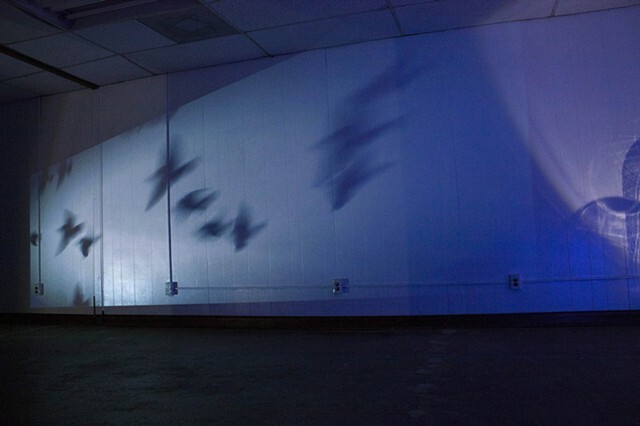 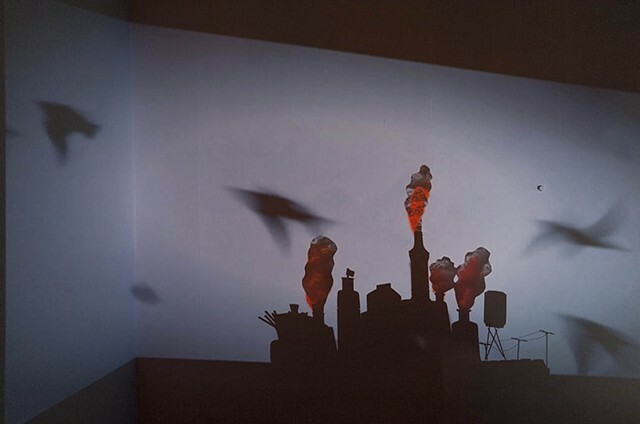 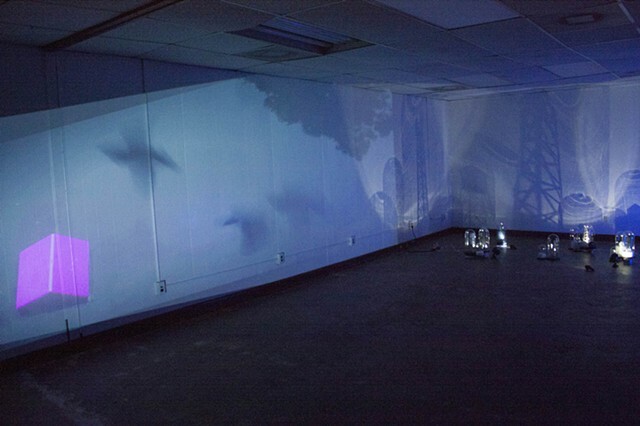 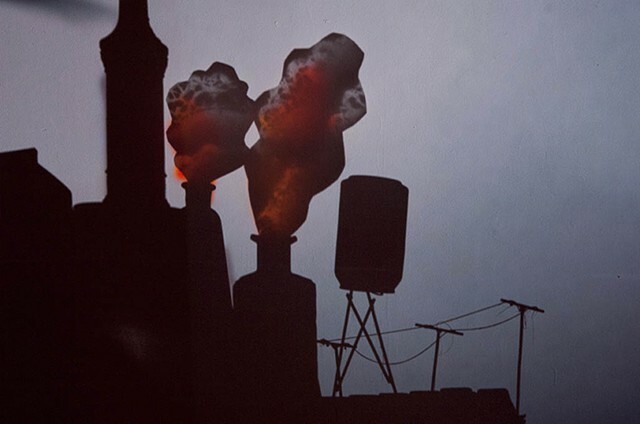 Geist began experimentally in 2014, utilizing found objects, shadow play, video projection and mapped video. 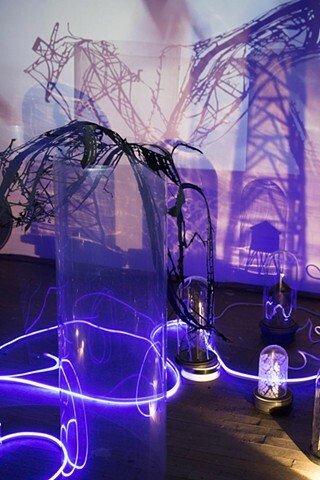 I created this installation to address the idea of systems, cycles and the change of light within the season. 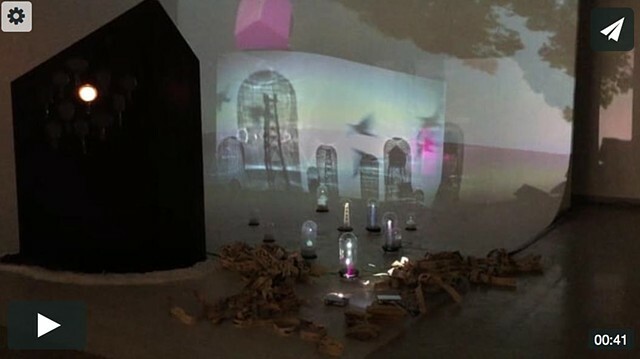 By creating a small cityscape “set” and a projected video of flocking birds, I tried to capture the way memory affects the construction of both our psychic and physical environments. 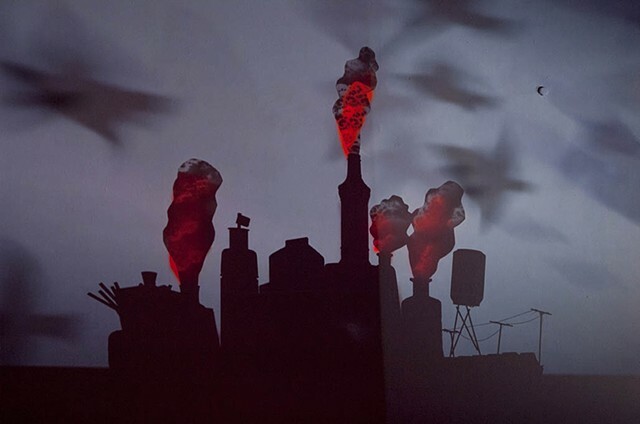 The looping video of a starling murmuration projects onto the cityscape and is a marker of autumn moving into winter, of overcast days and particularly of crepuscular hours- dimming late afternoons and evenings and murky dawns. 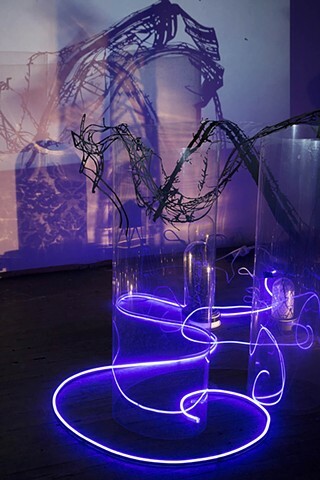 Work shown here is from the Lightgeist exhibition at the Rhinegeist Brewery in Cincinnati, OH, the InLight Richmond exhibition at the Virginia Museum of Fine Arts (this piece won Best in Show), Governors Island Art Fair in NYC and for the exhibition, Microcinema, at The Carnegie in Covington, KY.